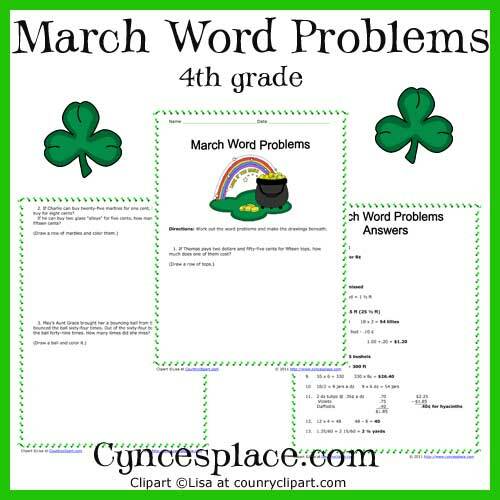 Free math word problems for March. These problems are about 4th grade level. I have another set of math word problems. These are about the 4th grade level. Since you are here, I'd like to remind you that I also have a set of St. Patrick's Day Notebooking Pages. These are great for writing stories on, narrations, dictation, copywork, journaling, letters, etc.